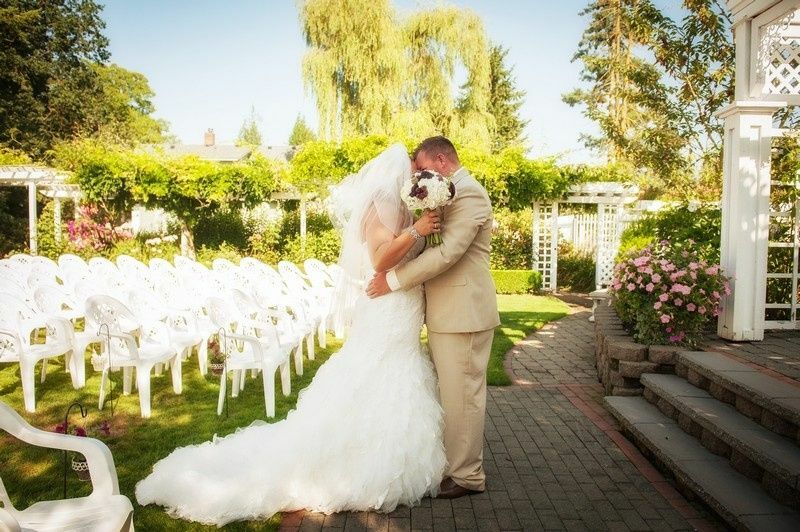 Genesis Farm and Gardens is a wedding venue located in Enumclaw, Washington that has been an industry leader in event venues for the past 19 years. 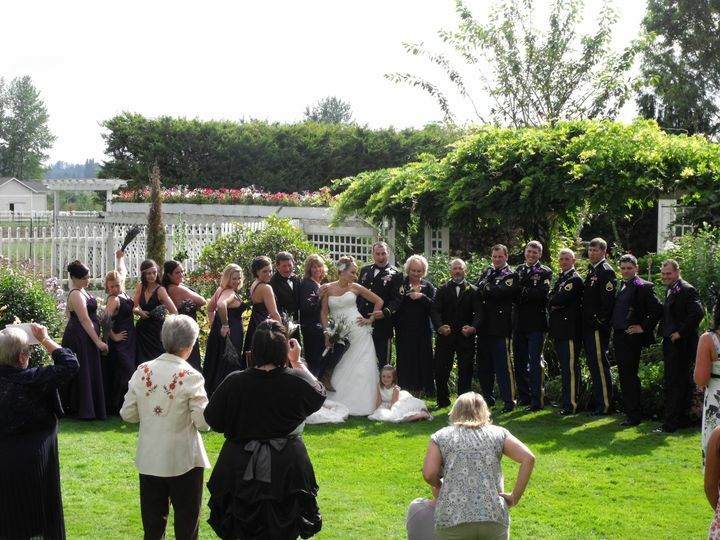 With beautiful views of the farmland, Mount Rainier, a lovely landscape and blooming flowers, this venue is perfect for a romantic garden wedding celebration. 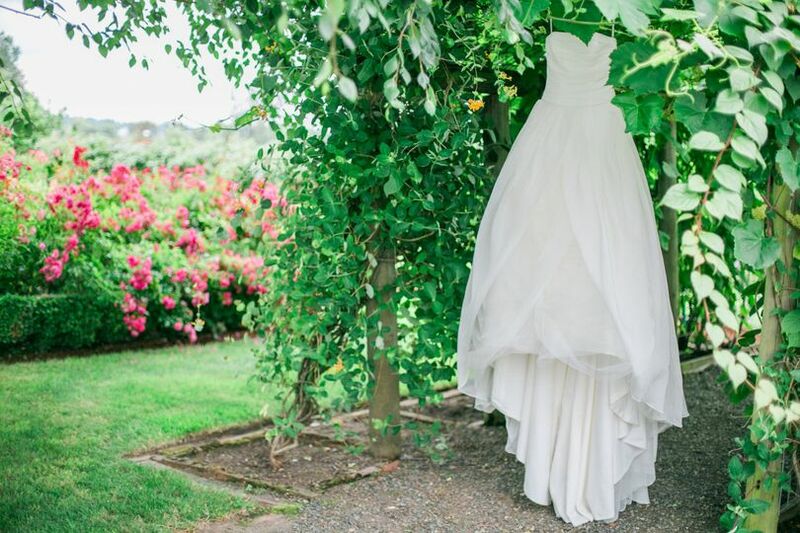 Book this wonderful property today to get a setting that truly takes your breath away! 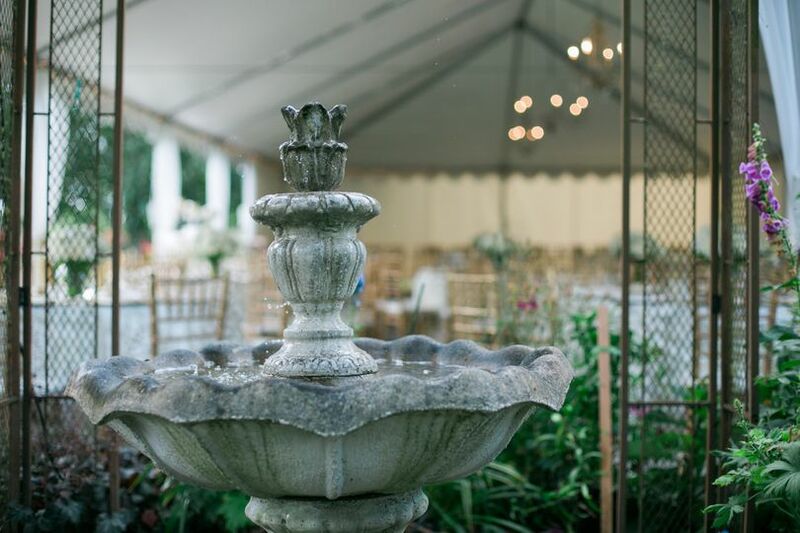 The traditional English gardens at Genesis Farm come with charming ponds, fountains and doves that you can release during your outdoor wedding. 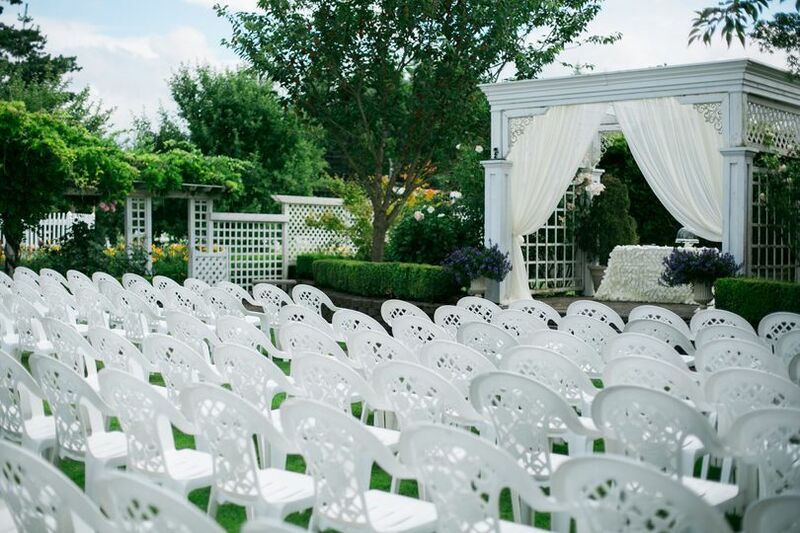 The landscaped gardens and lawns can accommodate up to 200 guests for a ceremony and give you a natural country-style backdrop for exchanging your vows. The facility also offers a 30 x 65 formal tent that you can use for a covered outdoor reception, offering plenty of room for dinner and dancing with 200 guests. The rustic barn is a spacious and refurbished space that can be used for a more casual ceremony or reception, exuding rustic charm and having the ability to accommodate 125 guests. It is our absolute pleasure to write a review for Genesis Farm and Gardens. 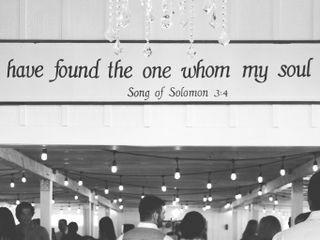 We had our wedding at the venue on 7/1/18 and the only way we could describe it was “Amazing”. 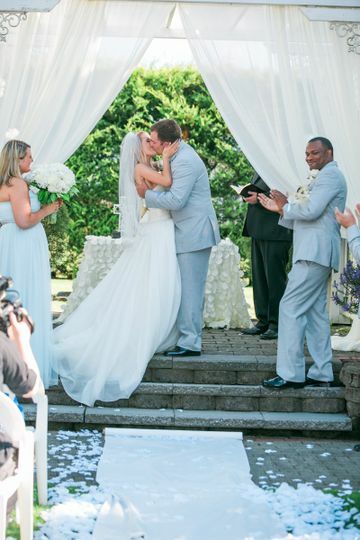 All our guest could not stop complimenting on how beautiful the venue was. The owner’s, Vauneè and Steve Birchler do an AMAZING job maintaining the venue. 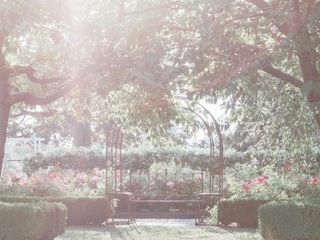 Vauneè has a very keen eye for details (acquired from her many years as a wedding coordinator) and it is evident in the design of their venue, from the floral placements to the types of flowers and plants they selected, to the location of the groom and brides’ suites and renovated barn, everything was PERFECT! Even in the event of rain, she had a back up plan. Vauneè herself was nothing short of Amazing! 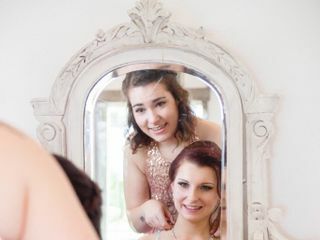 She was an absolute pleasure to work with and made the entire wedding process so easy and stress free. She was always available for questions and always replied promptly. 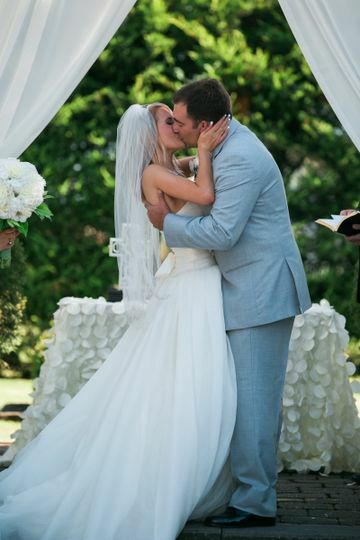 She was an amazing resource for wedding suggestion and tips because of her many years as a wedding planner. We had a mishap with our day of wedding coordinator and without hesitation, Vauneè stepped in without being asked to and assisted with our wedding day, which went off without a hitch. That speaks volumes to the character that is Vauneè. 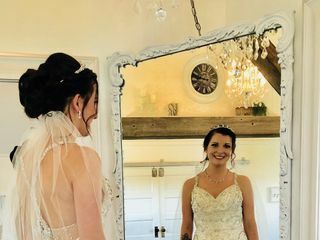 At the end of the day, we felt like we gained a lifelong friend and we are so glad that we decided to have our wedding at Genesis Farm and Gardens. Thank You Vauneè and Steve! 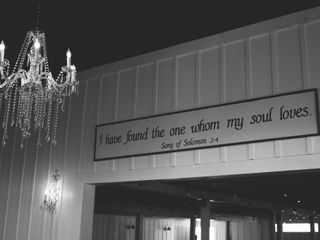 Everything about this venue is to DIE for! 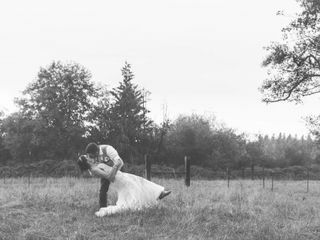 I wanted a country chic wedding and this is it!! 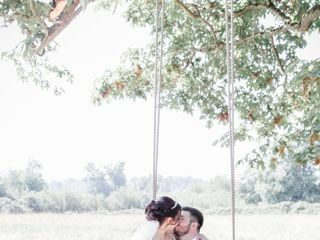 That big field, the gardens, the barn and just the atmosphere was amazing!! I could not have asked for a better day! I am so excited to write a rave review for Genesis Farm and Gardens. My daughter's wedding was 6-2-18 and it was drop dead gorgeous! The new owners of this venue (I think it's their second year) are just amazing. 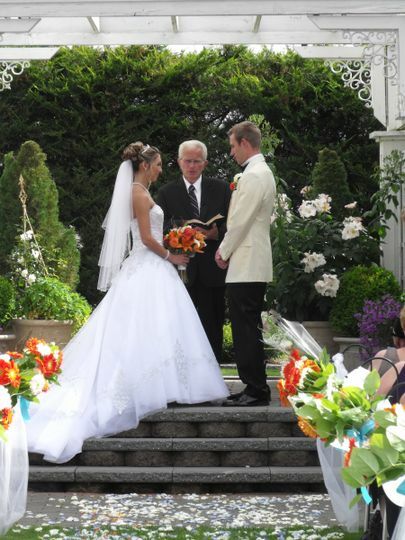 Vauneè Birchler, has many years of experience as a wedding planner and was just invaluable in our planning. She was available for us every time we had a question and, without being overbearing, gave us so many good ideas as to how the evening would run as smoothly as possible. We had a wood fired pizza truck for our caterer (who were also awesome!) and we used the bar tending service suggested by Vauneè. 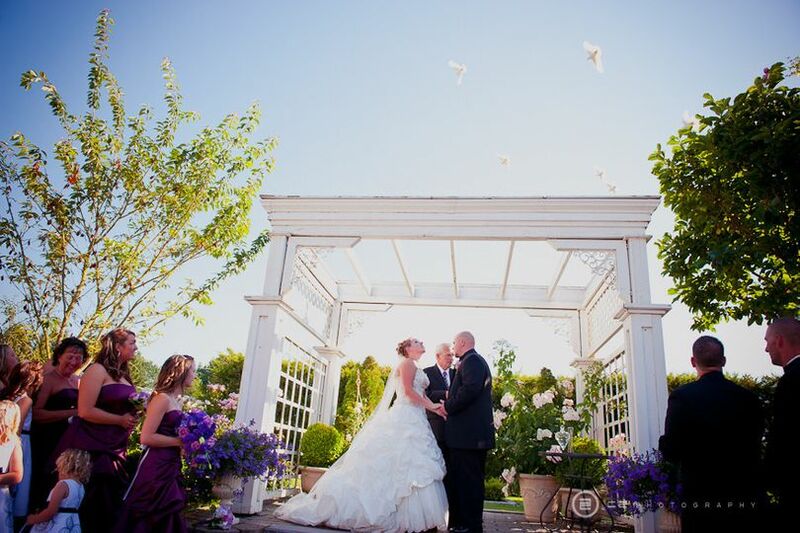 In addition to the beautiful garden for the ceremony, the barn and tent/patio area are beautifully maintained and decorated in elegant style. For the wedding party there are two amazing "cabins" to prepare for the ceremony. It was so much fun watching my daughter and her bride's maids get ready together in this beautiful place. The best way to sum it up is "Absolutely Magical". I'm so grateful for Vauneè and all her help. 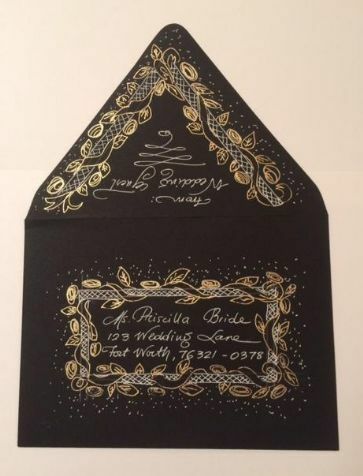 Wedding planning is not something many of us do more than once or twice and she made it so much easier! Thank you, thank you Vauneè!